A travelin' fool and her words…. This beachfront Orient-Express gem is a little piece of French paradise on one of the Caribbean’s most gastro-fabulous islands. 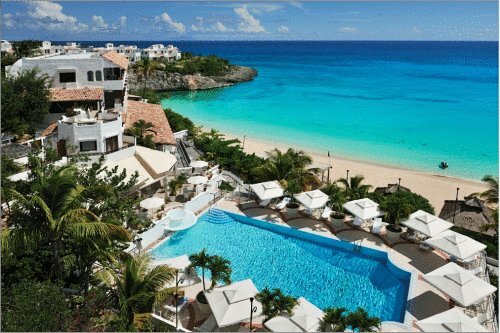 La Samanna is the perfect place to enjoy St. Martin’s most beautiful beach, wander through scented gardens, and enjoy a wine cellar rivaling those in France. By day, you can experience mind-blowing spa treatments, and by night you’ll dine al fresco on a candlelit, ocean-side terrace, enjoying giant Caribbean lobster and haute French cuisine. What’s extra special: This gorgeous resort is getting even better. Now in the midst of an $8 million renovation, 50 of the property’s 83 rooms, suites, and cottages have been fully renovated and updated, and now include original local artwork. Ahh, Maroma…simply one of my most favorite places on earth. Another Orient-Express property (okay, I’m just a little obsessed), this 25-acre stunner, located on a coconut plantation on the Riviera Maya, pretty much has it all. White-sand, blue-water beach: check. 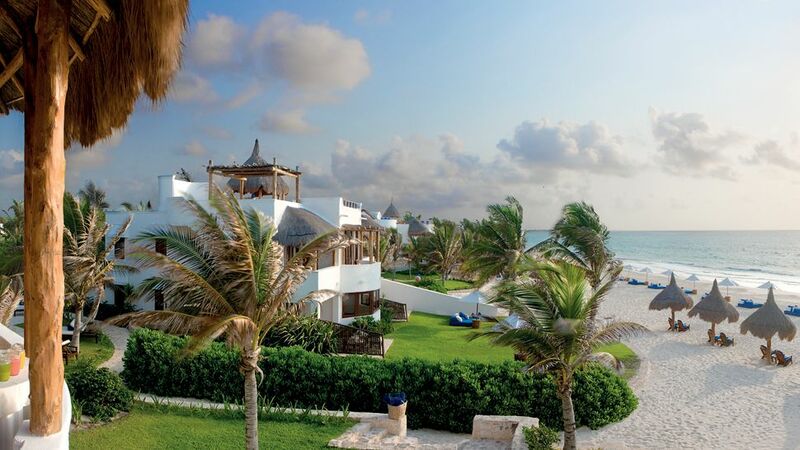 To-die-for rooms and cottages with luxurious Mayan decor: check. An outdoor spa with gardens, fountains, and outstanding services: check. Phenomenal food, including a tequila and ceviche bar, a tapas restaurant, traditional Mexican cuisine, and more: check. Uber romance factor: check. And if you’re really looking for something mind-blowing, go for the traditional, centuries-old Temazcal, after which you’ll emerge nothing short of transformed and utterly renewed. What’s extra special: Every Wednesday night, “La Noche del Pescador” or “The Fisher’s Night,” takes place, when Executive Chef Juan Pablo serves fresh seafood straight from the grill. Torches and live performances enhance the experience, and 50% of the proceeds go to “Amigos del Sian Ka’an,” a local organization dedicated to wildlife protection and sustainability in the Yucatan region. As one of the world’s few remaining unspoiled areas, Belize is the hidden gem of Central America that is as easy to reach as it is far from it all. Its most luxurious, coveted resort is the boutique property, Ka’ana, owned by two charming Irish brothers who’ve created a heavenly oasis. In fact, the name means “heavenly place” in Mayan, and this 15-room, two-villa eco-resort is nothing short of extraordinary. In a lush valley between the Maya Mountains of the Cayo District, the property embodies the spirit of the Mayan natives, utilizing all locally sourced materials, serving food grown in their organic garden (all gourmet and spectacular, of course! ), and embracing the aesthetics of the rich native culture. 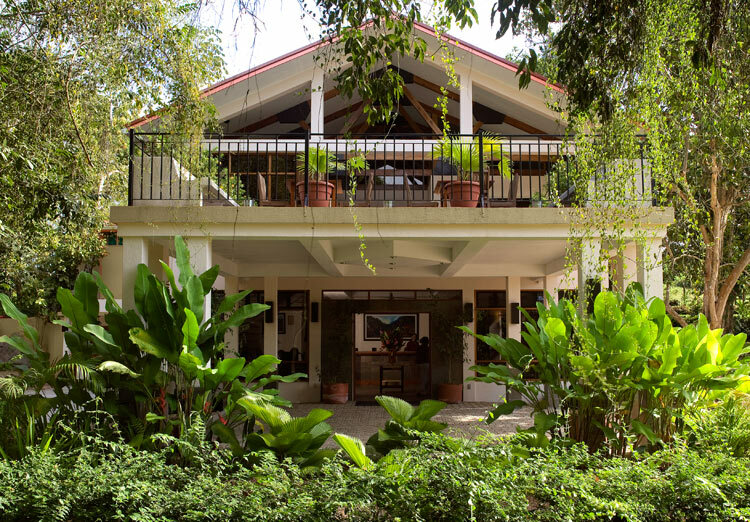 Belize’s natural wonders blend seamlessly with the Hannan brothers’ knack for luxury, as guests are equally encouraged to explore the surroundings and enjoy special touches, such as Western Belize’s largest wine cellar. What’s extra special: Only here can you experience an overnight stay in an ancient Mayan ruin, complete with the creature comforts of Ka’ana. If the Mayans were right and it’s all going to end, I’d like to experience this before it’s too late! 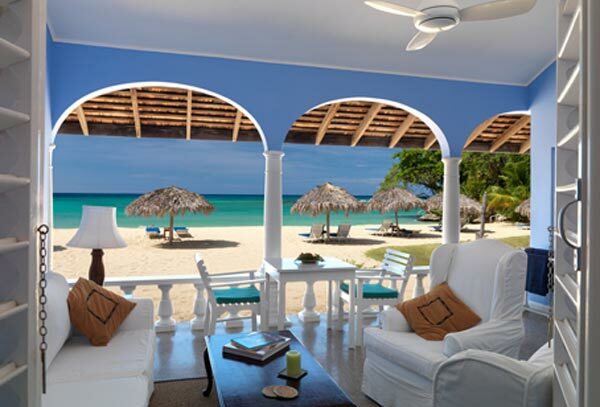 The blue of Jamaica Inn’s elegant walls matches the blue of the sea that the resort overlooks, and the 700-foot, “champagne-colored” beach is perhaps the best in Jamaica. As you lounge there all day, sipping complimentary Planter’s Punch, you’ll understand why this small, classic, oh-so-special resort has been a favorite since 1950. All of the 47 suites overlook the beach, and private balconies or verandahs welcome the breeze in to the impeccable rooms. This is where the Caribbean of the past–simple, stunning, and spectacular–meets the needs of today’s demanding traveler. What’s extra special: Jamaica Inn’s tastefully decorated rooms, all with enchanting views and classic decor, have no televisions, radios, or clocks. There’s nothing to get in the way of your total enjoyment of the glorious surroundings, and about an hour into your stay there, I promise, you won’t miss them. In fact, you might be tempted to throw your iPhone directly into that turquoise water. On one of the Caribbean’s most exclusive islands, Hotel Christopher is all about barefoot elegance, unpretentious luxury, and easygoing joie de vivre. The modern, minimalist decor blends seamlessly with the drop-dead-gorgeous scenery, and recently renovated rooms and suites are all airy, light, and large. 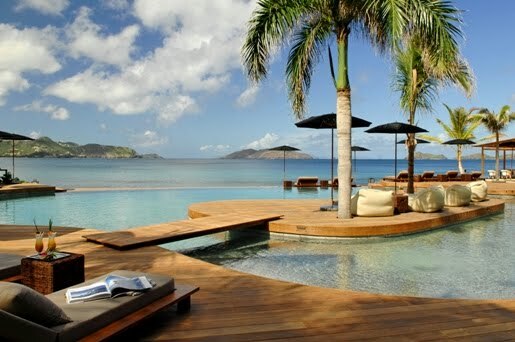 The free-form freshwater infinity pool overlooking the crystal clear ocean is the perfect spot to relax while enjoying an incredibly delicious pina colada, and the casual, water-front restaurant, Mango, is where guests dine on delicious grilled seafood while running their toes through the sand. Now the boutique luxury resort is officially complete, as they are soon opening a brand-new, state-of-the-art spa that will offer a full range of treatments in the paradise that is Hotel Christopher. What’s extra special: French gastronomy meets the Caribbean’s proximity (and beauty and serenity and…), as guests here are treated to classic French foods and pastries that are simply divine. Homemade breads, dark chocolate creme brulee, and ridiculously good macarons might make you hesitant to put on that teeny bikini, but boy are they worth it.